When we consider the vastness of the universe and the seven billion souls inhabiting our planet, we can struggle to believe that God cares about our circumstances. And yet . . .
God guided wayward Jonah from Tarshish to Nineveh through a storm and a great fish. God introduced the world to His Son in a meager animal stall through a small-town girl and a humble man who believed the impossible. God transformed Paul from a terrorist who sought to wipe out Christianity into an incomparable missionary. We can trust that God knows us! He cares! And His plans are woven in the fabric of our everyday lives. 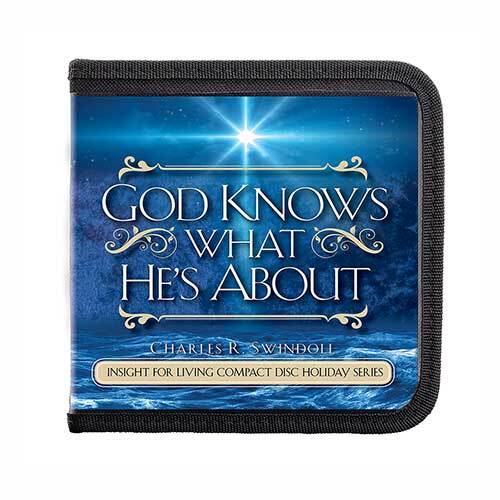 Join Chuck Swindoll in this special message series and discover that, even when we wonder and doubt, God knows what He's about.